The next day we cruised down to the city of Wellington and visited an urban ecosanctuay called Zealandia. It was a beautiful place to visit, very green and lush, with lots of wildlife and birds. The morning we visited was very rainy and I had my camera and big lens (150 to 600 mm) stashed under my wind breaker and would pull it out and take pictures when some of the beautiful birds were well positioned. 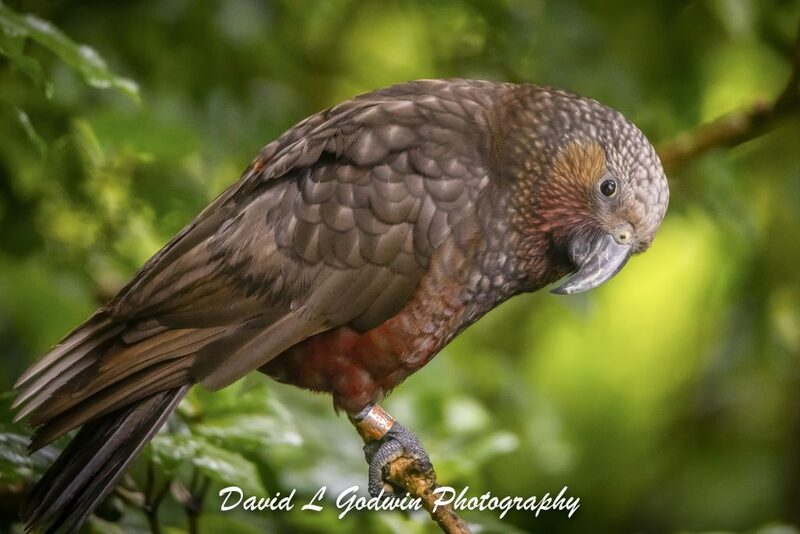 This bird in this image is called the KaKa. Hope you enjoy it !